Haha, the Hams were tracking something but they had no way of knowing what, most likely an unmanned craft. Same with the various bases and observatories around the world, none of them had any way of knowing if people were inside. I want to build the case that Apollo was a LARP, as the kids would say these days, block by block, for anyone new to this idea (i.e. the next generation). However, it would appear that this forum is 'woke' on this topic, so I will take some liberties and cover topics that are of most interest. As mentioned previously, I believe they did send unmanned probes to the Moon. This is known as the Surveyor program.
" 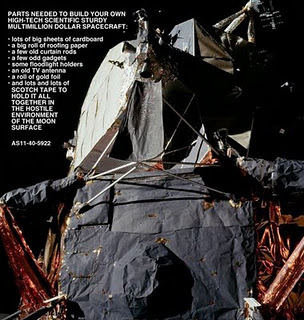 The program was implemented by NASA's Jet Propulsion Laboratory (Jack Parsons Lab, an interesting history in its own right) to prepare for the Apollo program. JPL selected Hughes Aircraft to develop the spacecraft system"
One of my favorite 'man on the Moon' pics. LOL. I am surprised it hasn't been scrubbed from existence. I will leave to the audience to find the most glaring error, that must have had Kubrick waking up in cold sweats at night. So back to the story. 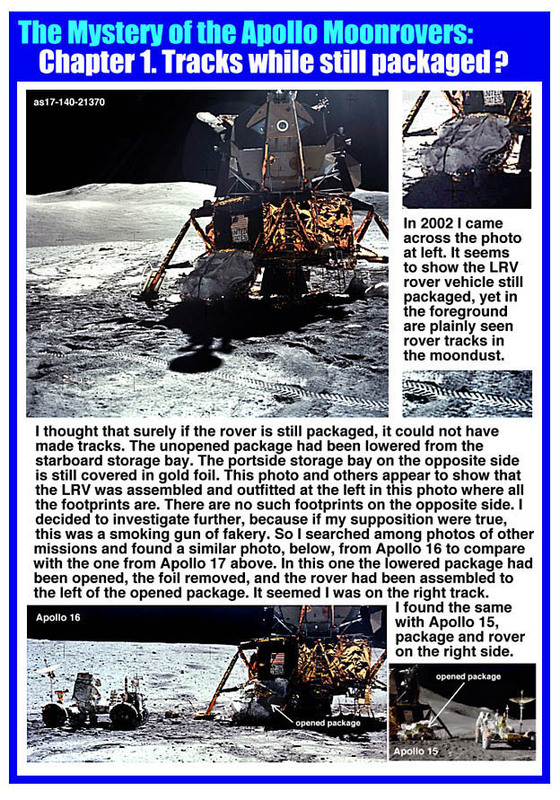 It is acknowledged that Surveyor was 'sent ahead' to take pictures of a number of Apollo landing sites. 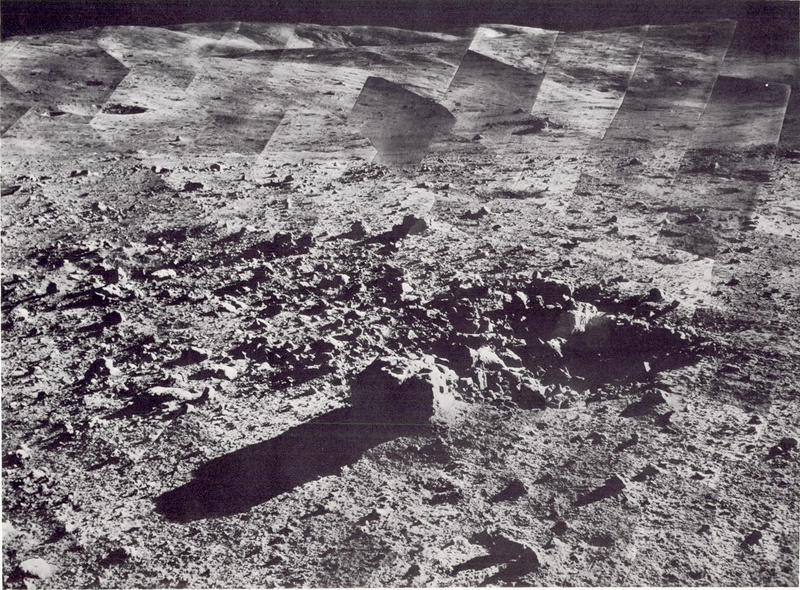 Surveyor 3 and 5, for example, landed right where it was then decided to send Apollo 11 and 12. 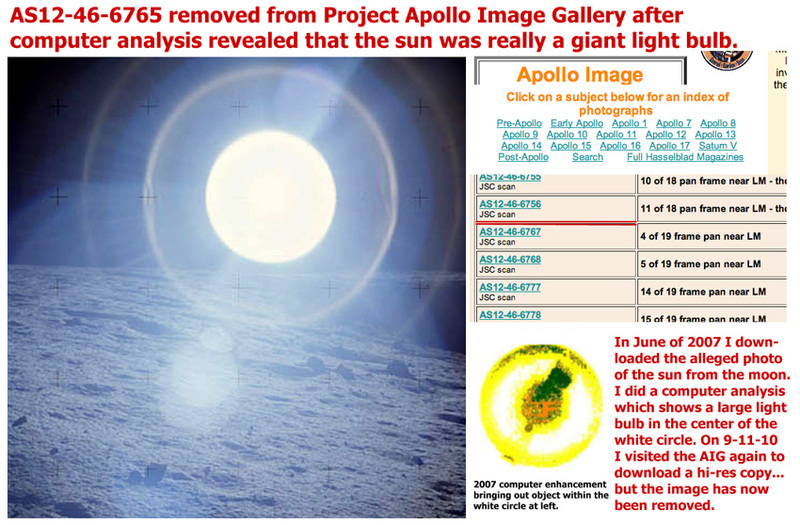 So you can see these are quite interesting, if bland, photos that were returned to Earth already, by radio broadcast, in the 3 years or so before Apollo 11 (and subsequent missions). 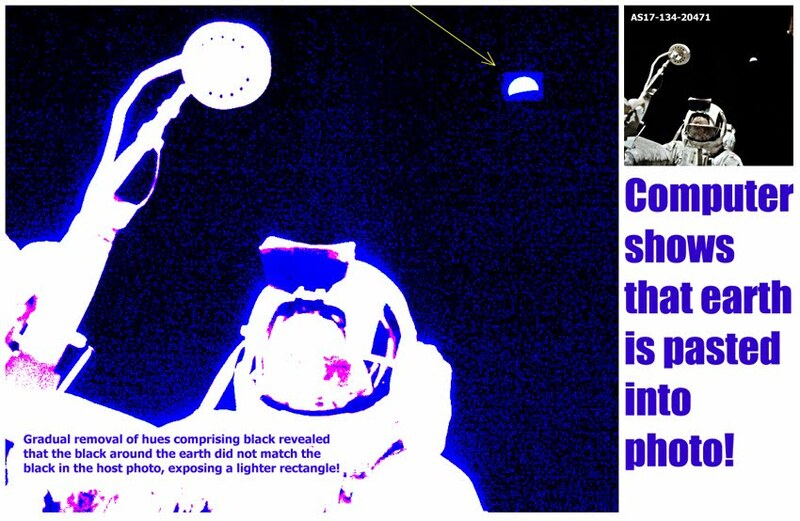 This information was then used to piece together the backdrops that would then be used for the Apollo Program, IMO. Front screen projection requires detailed high-res slides, to give a quality end product. They would have also used this in their construction of sets. It tells you how the lunar regolith should appear. 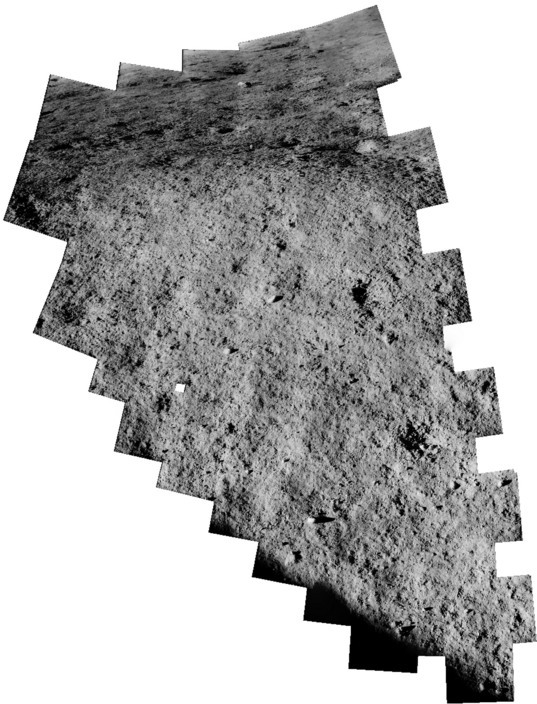 How clumpy the moon dust is, and the ratio of small rocks to dirt, how many craters in general, the color of the regolith. etc. Suffice to say, the drill bit worked well, there was a lot of demand for it, and when Hughes' dad died, when Howard was 18 or 19 (in 1924) he inherited 75% of the company, and bought out the family members who held the remaining shares. Well, Howard was much more interested in motion pictures and aircraft, both being very new at that time, than drill bits. Fast-forwarding a bit, but suffice to say that Howard's decision to go into the airplane business was a fairly wise one and :"by the early 1950s [Hughes Aircraft] was one of America's largest defense contractors and aerospace companies with revenues far outpacing the original oil tools business". In other words, it was one of the original Military-Industrial-Complex companies. So that should tell you what circles Hughes was travelling in. MIC, Hollywood, and the ultrawealthy (he was worth $1.5 billion when he died in ~1976, bit of a long story). Hughes was very involved in motion pictures in the 1930s. He made what was the most expensive film at the time, Hell's Angels (interesting name, esp. that it later became the name of a rather famous motorcycle gang). 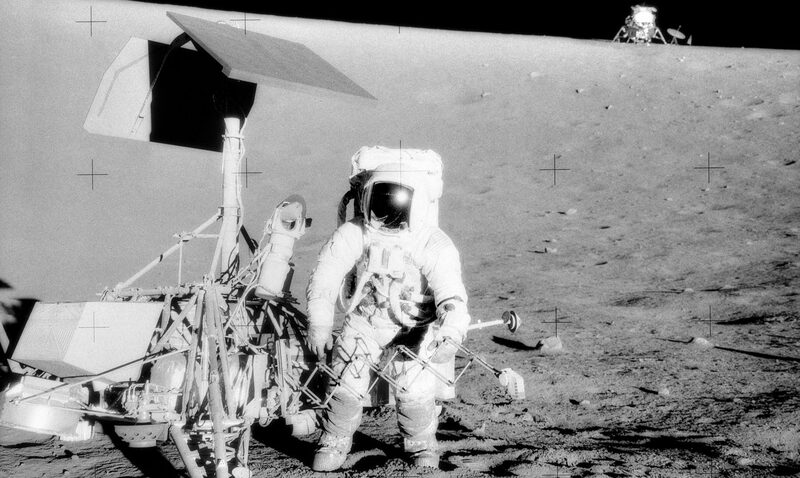 This was the expertise and sort of experience that meant Hughes had a role to play in producing the Apollo Program. My contention is that the CIA played a major role, and that Hughes was of course involved in the CIA. He was basically a mob boss, so if the price was right, he was willing to take a job. This could be a thread in its own right, but basically Hughes' fleet of aircraft were utilized in drug trafficking out of the Golden Triangle during (and possibly before) the Vietnam War. So back to Apollo! Right when Surveyor is landing on the Moon, what is happening back in America? A camera on a tripod? i'm no expert but that def. does not look like the sun. Mythbusters took on this conspiracy theory and debunked it. They prove the moon landing was real.